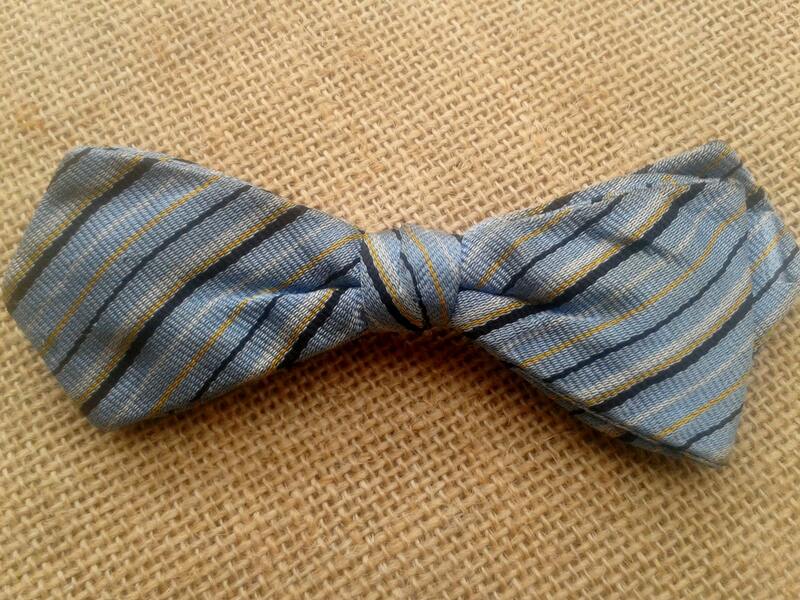 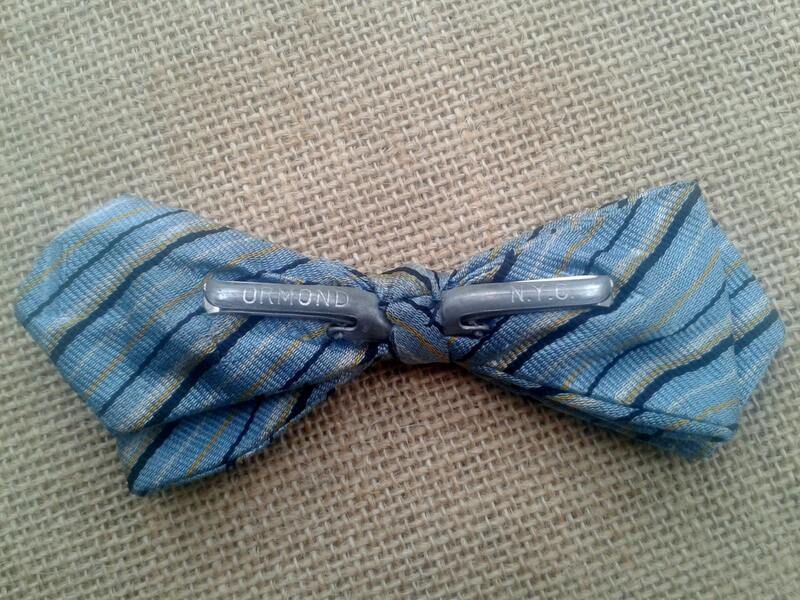 Authentic Ormond NYC Retro Silk Bow Tie on Clip - Men's fashion from the Mid- Century . 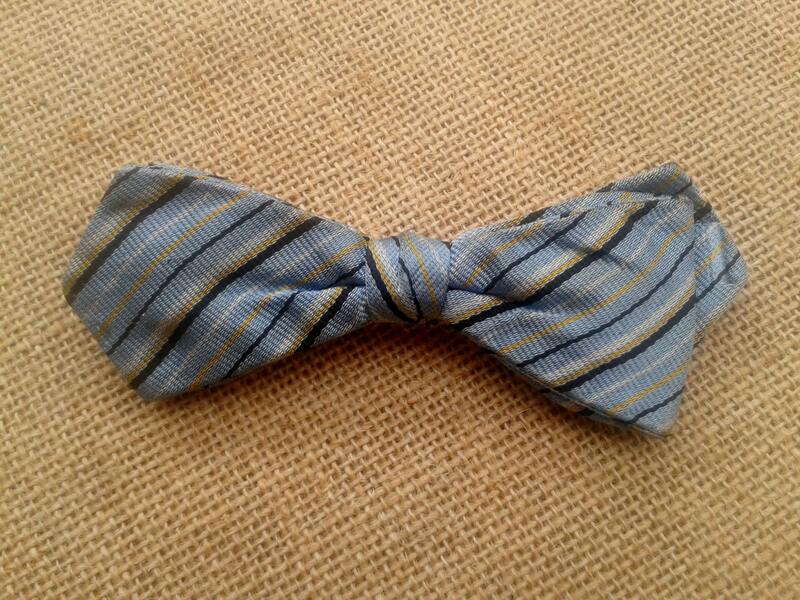 Blue with black and yellow stripes. 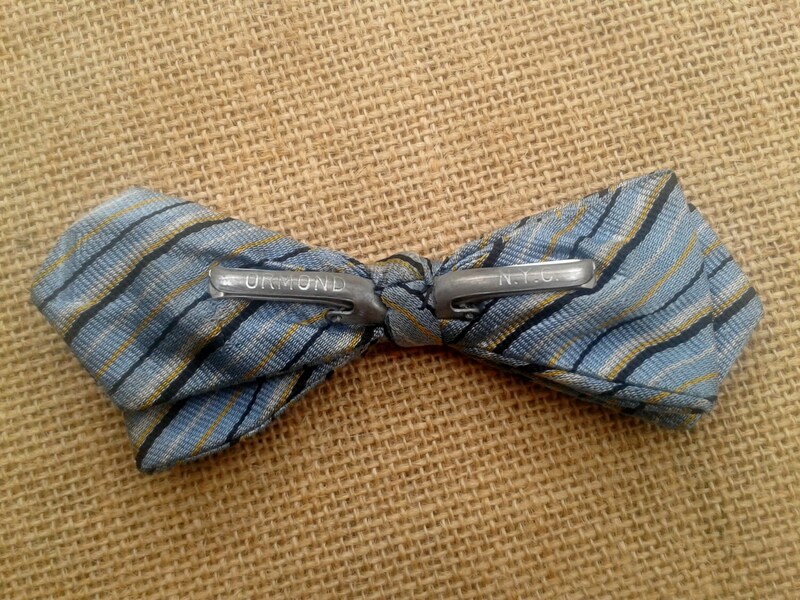 The clip is signed on the reverse Ormond N.Y.C.